Blake was born in Limerick, Ireland, in 1840, and started out as a draper's assistant. He joined the Irish Constabulary, of which his father had been a member, and became an inspector and then a well-regarded magistrate. He was appointed governor of the Bahamas in 1886, and was transferred to Newfoundland in 1887. He was knighted that year. Blake's term in Newfoundland coincided with the start of serious fishery-related disputes with the United States and France. Both countries had a treaty right to use parts of the coast. The colonial government wanted to control the export of bait fishes in order to bargain with the United States for a separate trade agreement (which Canada opposed), and to reduce the subsidized French offshore fishery, which competed in Newfoundland's traditional markets. As the local representative of the British government, Blake handled these issues sensibly. 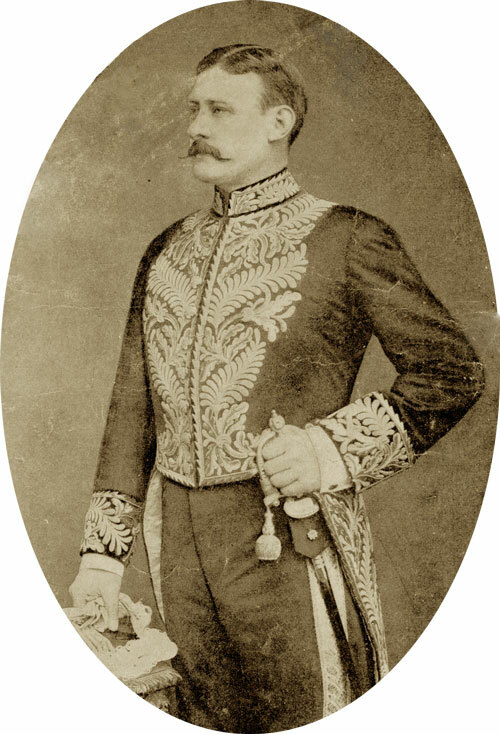 At the end of his term in 1889, he moved on to Jamaica, Hong Kong and Ceylon (Sri Lanka). Blake retired from the colonial service in 1907, and died on February 23, 1918. The community of Blaketown in Newfoundland was named in his honour.